Southern Railway Recruitment 2018 - Below are various recruitment notifications published by Southern Railway / www.sr.indianrailways.gov.in. As of now, we don't have any active recruitment notification by Southern Railway featured here. We may update as soon as the organization announces a new job notification. If you are looking for any information related to previously organized recruitment drives by Southern Railway, you can browse through previous job notifications mentioned below and get the new updates or information you are looking for. Southern Railway Recruitment 2018 - Apply Online for 904 Act Apprentice Posts - Carriage Works, Perambur in Southern Railway, Chennai, Tamil Nadu. Online Applications are invited by Southern Railway from 14 Dec 2018 to 13 Jan 2019 for 904 vacancies. Southern Railway Recruitment 2018 - Apply Online for 2652 Apprentice Posts in Southern Railway, Podanur, Tamil Nadu, TRIVANDRUM, Kerala, Salem. Online Applications are invited by Southern Railway from 14 Dec 2018 to 13 Jan 2019 for 2652 vacancies. Southern Railway Recruitment 2018 - Apply Online for 853 Act Apprentice Posts - Central Workshop, Golden Rock in Southern Railway, Tamil Nadu. Online Applications are invited by Southern Railway from 14 Dec 2018 to 13 Jan 2019 for 853 vacancies. 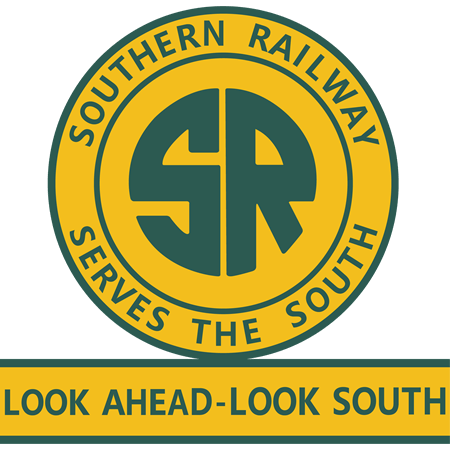 Southern Railway Recruitment 2019 - Walk-in for Super Specialist Post in Southern Railway, Tamil Nadu on Contract Basis. Candidates are invited by Southern Railway to attend walk-in-interview to be held on 05 Mar 2019 at 10:00 AM for 1 vacancy. Southern Railway Recruitment 2018 - Job notification for 21 Sports Quota Posts in Southern Railway, Chennai, Tamil Nadu. Applications are invited by Southern Railway on or before 14 Jan 2019 05:00 PM for 21 vacancies. Southern Railway Recruitment 2018 - Apply Online for Apply Online for 71 Nursing Superintendent, LA Gr II & Other Posts in Across India on Contract Basis. Online Applications are invited by Southern Railway from 27 Jul 2018 to 27 Aug 2018 05:00 PM for 71 vacancies. Southern Railway Recruitment 2018 - Apply Online for 257 Safaiwala Posts in Across India on Contract Basis. Online Applications are invited by Southern Railway from 27 Jul 2018 to 27 Aug 2018 05:00 PM for 257 vacancies. Southern Railway Recruitment 2018 - Job notification for 2652 Apprentice Posts of Fitter, Machinist, Turner, Carpenter, Painter, Weider (Gas & Electric), Wireman, Electronics Mechanic, Electrician, Electronic/ Information Technology, Medical Laboratory Technician & Other Posts in Southern Railway, Tamil Nadu. Applications are invited by Southern Railway on or before 11 Apr 2018 till 05:15 PM for 2652 vacancies. Southern Railway Recruitment 2018 - Job notification for 457 Apprentice Posts (Fitter, Machinist, Turner, Carpenter, Painter, Welder (Gas & Electric), Wireman, Plumber, Electrician & Others) in Southern Railway. Applications are invited by Southern Railway on or before 22 Feb 2018 05:15 PM for 457 vacancies.